The Samsung Galaxy S II is perhaps not an iconic device, but it is probably one of the most important smartphones ever made. It may be a slabby and rather dull device to look at, but the Galaxy S II started the trend towards smartphones with ever bigger screens and more powerful features that continues today. Samsung had been making Android handsets for two years by 2011, but to a large extent they had been lagging behind rivals HTC when it came to features. But the Galaxy S II pushed Samsung to the top of the pile with a feature set that still looks pretty good five years on. The most striking feature of the Galaxy S II at the time was the size of the screen - a then-massive 4.3" panel with a resolution of 480 x 800 pixels. The rival iPhone 4 had a higher resolution screen, but at only 3.5" in size it was significantly smaller. Inside was a dual-core 1.2GHz CPU with 1GB of RAM, and on the back was an 8 megapixel primary camera with a 2 megapixel one on the front... both much better than Apple's offering. Inside was 16GB or 32GB of storage, and crucially the Samsung came with a microSD slot too. There wasn't just a single version of the Galaxy S II, instead there a couple of dozen different versions of the device including one with support for LTE 4G data. 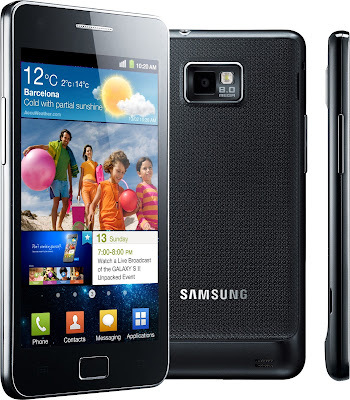 The Samsung Galaxy S II was a massive success, and along with a growing variety of other Galaxy smartphones in pursuit it allowed Samsung to knock Apple off the number one smartphone vendor spot. But Apple were not happy with the Galaxy S II as they claimed that it copied many of the concepts included in the iPhone and this ended up in a series of lawsuits that continue even into 2016. After the Galaxy S II, Samsung launched a new Galaxy S flagship every year with the upcoming Galaxy S 7 being just round the corner. Along with the iPhone, the Galaxy S range has been the device that every other manufacture has tried to beat. Not a bad legacy for a dull black slab, is it?